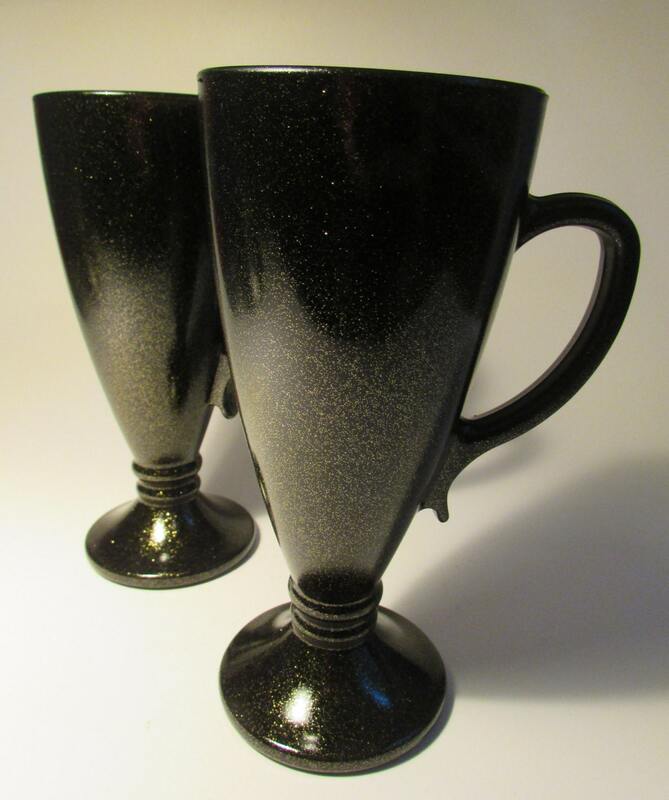 Stunning set of handled glasses, suitable for hot or cold drinks. 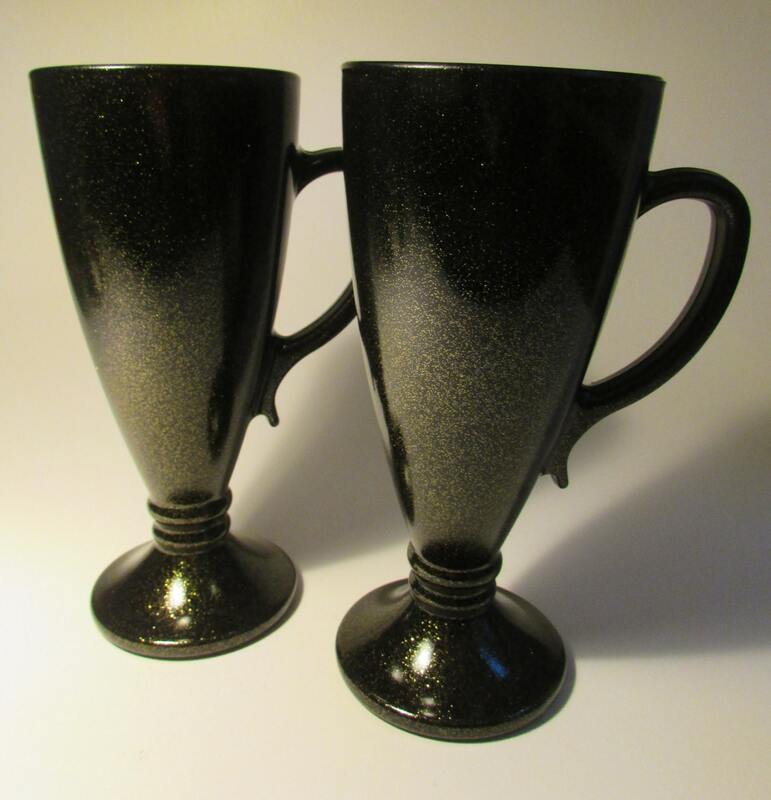 Each finished in black, with a shimmering gold glitter glaze. 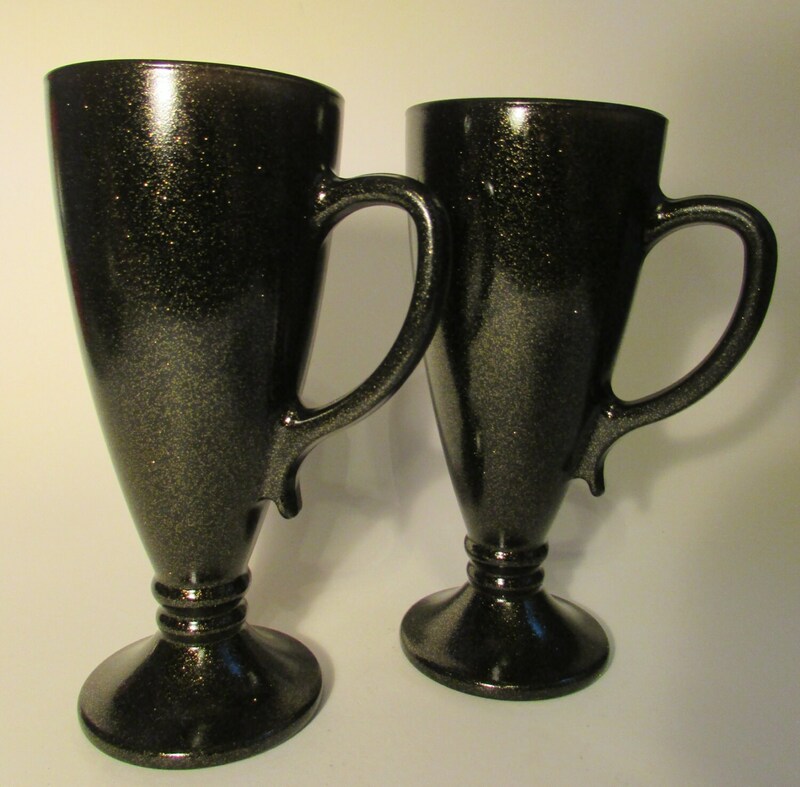 They are 17cm high and hold 250ml.